If you want to find out about the latest smartphones, tablets, and gadgets, Mobile World Congress is the place to do it. We’ve covered the show all week, live from Barcelona, and we’re walking away with a pretty good idea where mobile tech is headed. Wondering what’s next? Here are a few of the features you’ll probably see in phones and tablets this year. As many things do, it all started with Apple. The iPhone 5S has kicked off a biometric arms race. This week, Samsung showed off the Galaxy S5, complete with a fingerprint scanner. Other companies are trying to put the tech in key fobs, too. Everyone wants a piece of the print scanning market, but we’re not sure if it’s really the technology that will save us from passwords. Still, all the high-end phones this year will start to incorporate them now that Samsung and Apple are onboard. HTC has already put one in its HTC One Max. Sony started this push with its Xperia Z, and now Samsung has implemented it into the Galaxy S5. 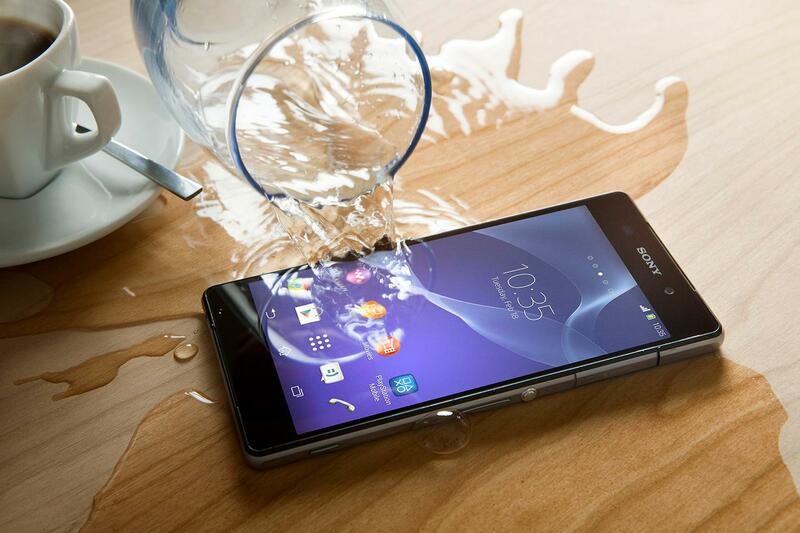 High-end phones are sealing up their phones to withstand full immersion in water. We don’t recommend you dip your phone in water, or try to get it wet, but if an accident happens, your phone should survive. Check for this feature in new phones. It’s a game changer. Thought that the 6.3-inch phones were big enough? Nope. Huawei showed off a full-fledged tablet-sized phone at MWC. The MediaPad X1 has a screen as large as a Kindle Fire or Nexus 7, but thanks to a slim bezel it’s technically holdable with one hand. It was large to us, but other outlets were hailing it as the phone of the show. 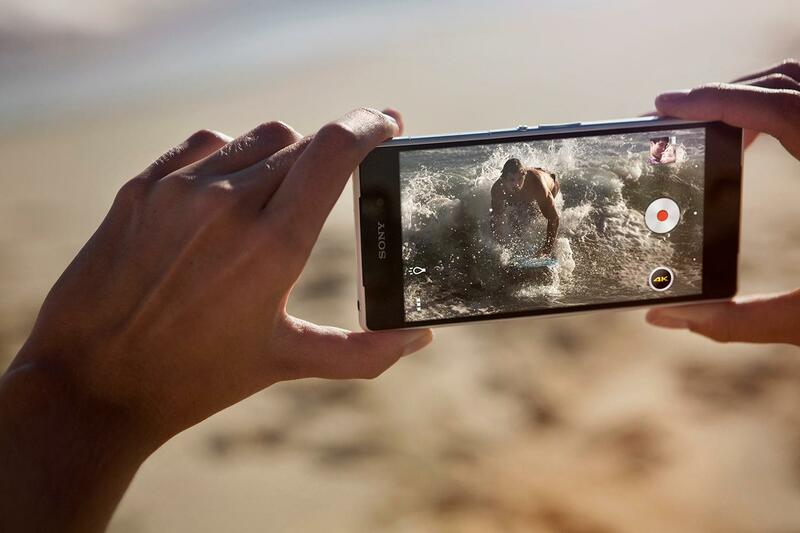 Thanks to the power of new processors like the Snapdragon 801 and some other advancements, Sony has added 4K video recording to the Xperia Z2. Like 1080p recording, every top phone will have it within the year. The video we’ve seen from the Z2 looks very nice, but since expanded storage space is not one of the trends this year (many top phones will still ship with 16GB of space for the third year in a row), we aren’t so sure everyone will want to record their videos in 4K. The next hot feature in camera apps is the ability to take a picture and then adjust the focus on the background or foreground. LG showed this off, along with Sony and Samsung, but Nokia has the best version of the tech so far. Basically, it works like this: Your phone camera takes a bunch of pictures really fast, each with different depths of field. Then it lets you choose which shot looks the same. It’s somewhat like the Mems Cam technology we saw last year, except it’s purely done through software. No company has got this feature right, but they’re all trying. The selfie phenomenon is so big that manufacturers are now installing front cameras that begin to rival their rear cameras. The pixel count is jumping from 2 to 5 megapixels, and many now come with a front LED flash, or a way to brighten the screen so it acts as a flash. We don’t know how to feel about this one, but at least the camera quality is improving. Batteries are beginning to get better, and the new way to show that is for manufacturers to let you reverse charge, or charge up other gadgets with your phone or tablet’s juice. It’s a nice option, so we aren’t complaining, but few devices have enough battery life that you’ll want to share it very often. Lenovo’s Yoga Tablet 10 is a noted exception. A health craze is sweeping through mobile tech. Rumors of what Apple’s doing with the iWatch likely sprouted the trend, but now we’re starting to see health and fitness apps, watches, and features sweep across the industry. 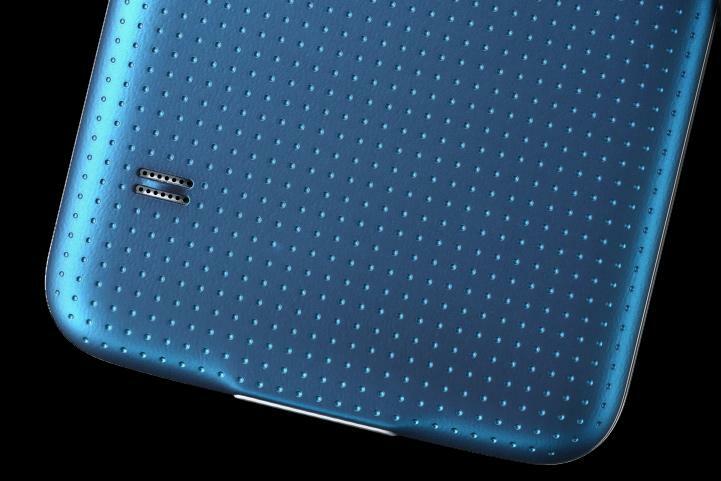 We learned this week that the Galaxy S5 will come with a heart-rate monitor under its rear camera, and Samsung’s Gear Fit and Gear 2 have them, too. High-end phones aren’t getting cheaper, but most other phones are, and the good news is that they’re pretty nice ones. Thanks to the success of the Nexus 5, Moto X, and cheaper phones, many manufacturers are trying to pack 13-megapixel cameras, quad-core processors, selfie cams, and 720p screens into devices that cost as little as $150. There is a point of diminishing returns here, but if you can get a good phone for a couple hundred bucks, it opens up a lot of options, like not strapping yourself to a wireless carrier contract, for one. We don’t know the price yet, but HTC’s new Desire 816 looks fantastic. Every manufacturer is trying to sell you a watch to go with that phone. We aren’t keen on the trend yet, but eventually some company (maybe Apple) will make a smartwatch that really grabs us. Until then, maybe pick up a Nike Fuelband or Pebble Steel if you really need to put something on your wrist. Still, it will be hard to resist some of the new curved-screen watch-like devices coming. 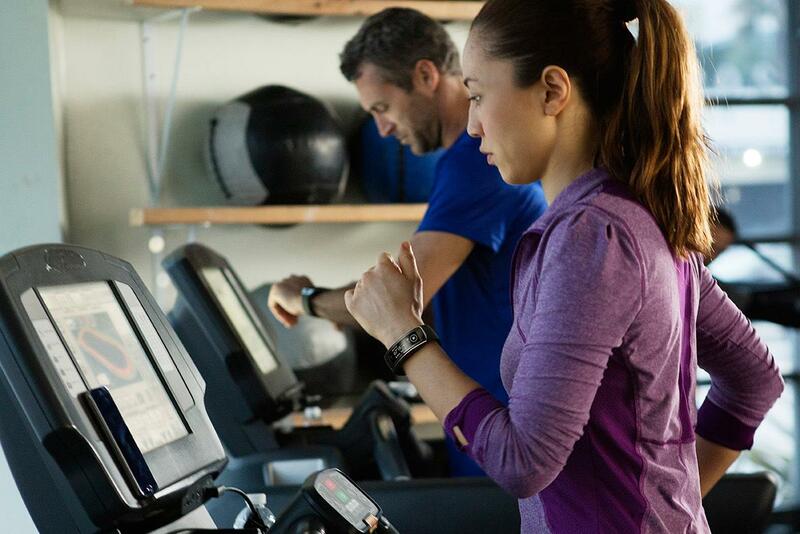 Samsung’s Gear Fit looks particularly nice.